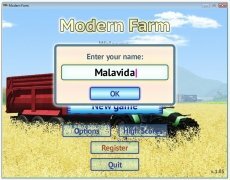 The rural exodus has ended up landing you as the person in charge of Modern Farm. 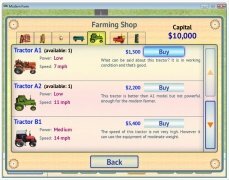 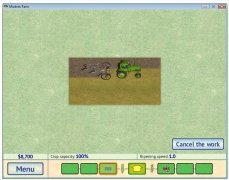 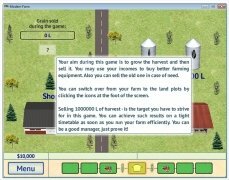 This simple game will place you in the role of a farmer that has to manage his farm as well as possible, achieving an economic profit from the sales of its products and managing all the minor details of this important business. 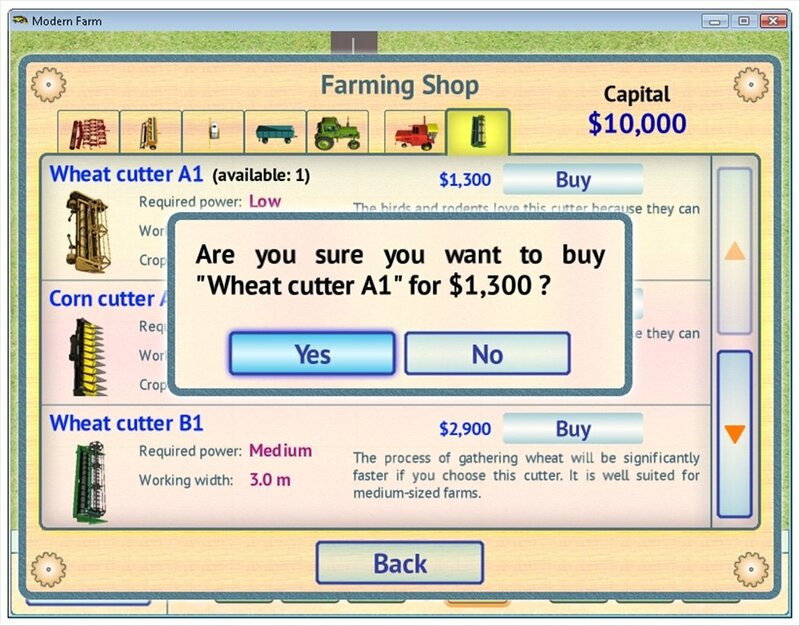 To do so you have to make sure that you have the raw materials necessary, the supplies, the conditions of the animals and the changes of the market with regard to the price of wheat, the machinery necessary to make farm work,... You'll require in depth planning and control to manage to make your farm a complete success. 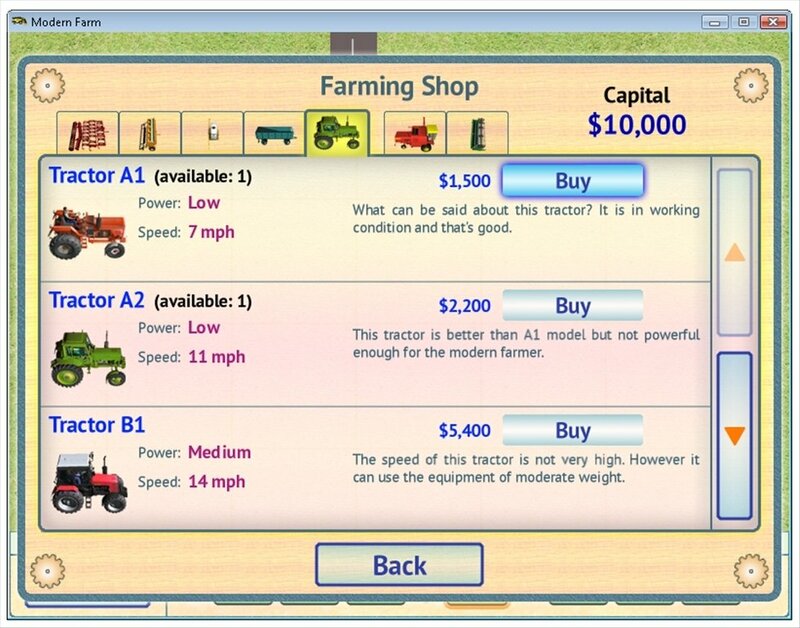 Increase the performance of the exploitation, earn money, increase the size of your lands and buy new equipment that is more productive at the supply shop. 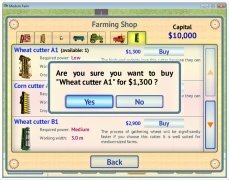 Sell the material that is no longer profitable. 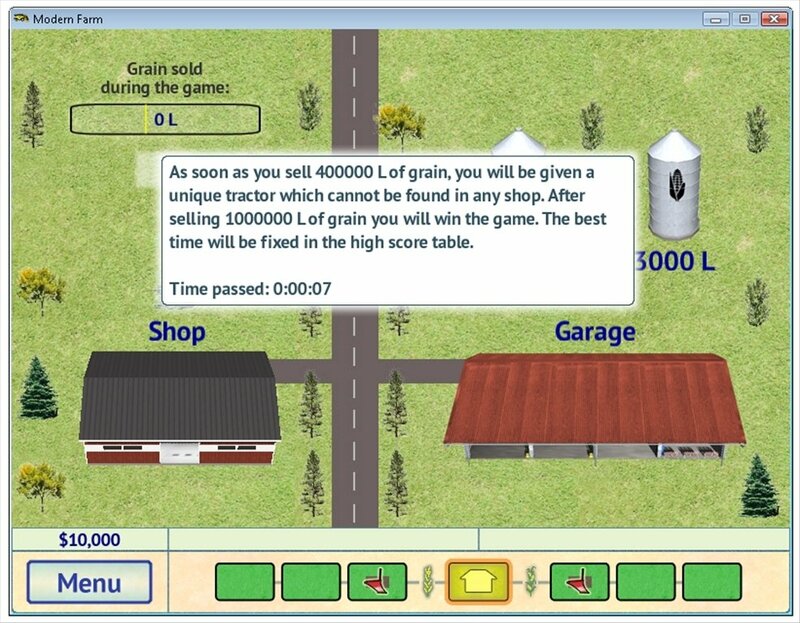 Manage to sell as much grain as possible and enter the rankings of best scores. 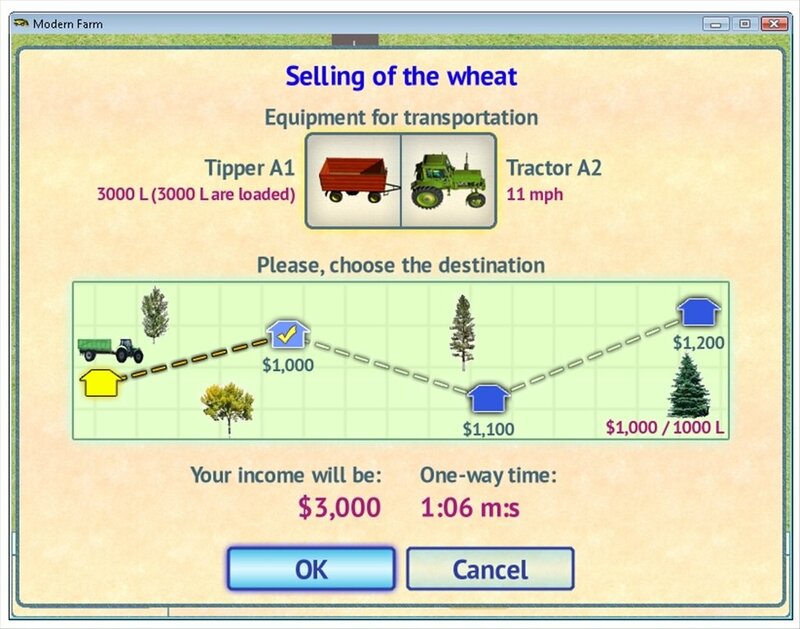 This game won't surprise anyone from the graphical point of view. 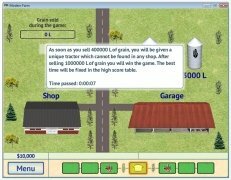 The images are simple and with hardly any details. 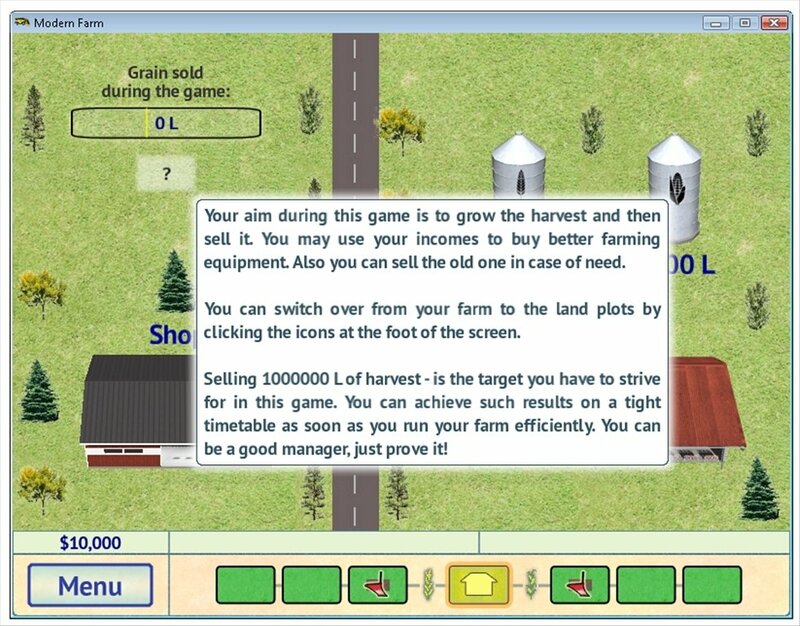 It will be up to you to provide the game with sum grit by proving how good you are managing a real farm, something that isn't at all easy. You will have put in dedication and effort, nearly as much as a real farmer.